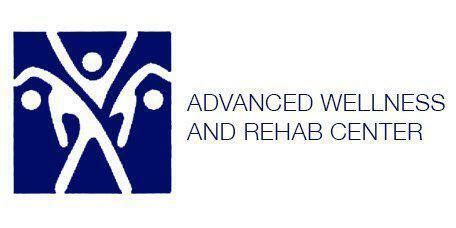 At Advanced Wellness and Rehab Center, Dr. Reynardo Adorable uses massage therapy in conjunction with chiropractic care to provide his patients with the most beneficial treatment options possible. Patients who live in and around the Carrollton, Texas area can visit the facility and receive treatment options that will help them return to their daily routines much faster and with less discomfort. "Dr. Rey is the best Chiropractor I know in Dallas! I would highly recommend him." "More than 25 years of experience! This guy is good.. And he's gentle!" "You will love Dr. Rey!" "Dr. Rey's professionalism and willingness to go above and beyond have me as a loyal fan." "I recommend Dr. Rey to all my friends that might need a Chiropactor." "He is the best when you're not at your best. Thanks Dr Rey." "He's not only healing, but he cares about his patients." "Got rid of my pain fast!" "His massage therapist gives excellent therapeutic massages!" "I saved myself a lot of time and money by seeing Dr. Rey. I cant thank you enough!" What are the benefits of massage therapy in relation to chiropractic care and pain management? Massage therapy and chiropractic care are effective treatment options that can be used together or on their own in a comprehensive pain management program. When used together, massage therapy offers support to the chiropractic adjustments and helps the musculoskeletal structure retain the adjusted position. With each adjustment and massage therapy session, the soft tissues become stronger and are better able to stabilize the area, preventing re-injury and hastening the healing process. Combining both modalities allows for a more complete healing especially in cases involving plantar fasciitis and other health conditions that affect the joints and connective tissues in the feet. How does massage therapy help with joint pain? Massage therapy reduces joint pain by improving circulation, eliminating inflammation, and offering comfort through the use of healing touch. Deep tissue massage involves manipulating the soft tissues of the body. This manipulation releases toxins and by-products that are released as a part of the body's physiological function. As circulation improves, wastes are flushed from the body and new, stronger tissues are formed. Knee, hip, shoulder and other joints often become stiff and immobile due to inflammation from injuries and illnesses. The impact that massage therapy has on the soft tissues of the body extends to other areas of the body as well, including the joints and vital organs. Does massage therapy assist with musculoskeletal issues? Patients who suffer from fibromyalgia and other health conditions that affect the musculoskeletal structure can benefit greatly through healing touch. Massage therapy allows the comfort of physical touch with the manipulation of the soft tissues. Deep tissue works the muscles much in the same way as regular exercise without the physical stress on the skeletal system. Exercising with fibromyalgia can be difficult. Chiropractors have found that combining massage therapy along with chiropractic adjustments can help a person regain their strength and actually reduce their level of pain. This allows for more freedom of movement and an increase in overall flexibility and range of motion. Dr. Reynardo Adorable of Advanced Wellness & Rehab Center provides Massage Therapy services throughout the Northern Texas DFW Metroplex, including Carrollton, Plano, Frisco, Lewisville, The Colony and North Dallas. Please feel free to call us at 972-366-5771 or request an appointment online today. We accept most insurances! Please give us a call if you have any questions and to make sure that your insurance is accepted. "Dr. Rey went above and beyond to inform me of my back issues and put together a plan to rectify the issue. Highly recommend going to see him! Best chiropractor in DFW!" "Incredibly friendly and helpful staff. Felt very taken care of. Highly recommend Dr. Adorable to anyone who wants the best and most professional help you can get." "Dr Rey is very knowledgeable and has the tools to get you back on the road to recovery without the use of medicines or surgery!" "Very caring and efficient service. Was tired of being on pain killers for years. Dr Adorable found the source of the pain and fixed it!" "He got rid of my low back pain and sciatica that I suffered with for most of my life! He is trustworthy, of the highest integrity, and will do what's best for you." "I have known Dr. Adorable for more than 20 years... He expresses personal interest in my well being. I have no reservation referring patients to him." "Dr. Rey has a great bedside manner and is extremely knowledgeable about his speciality and how it relates to whole health."